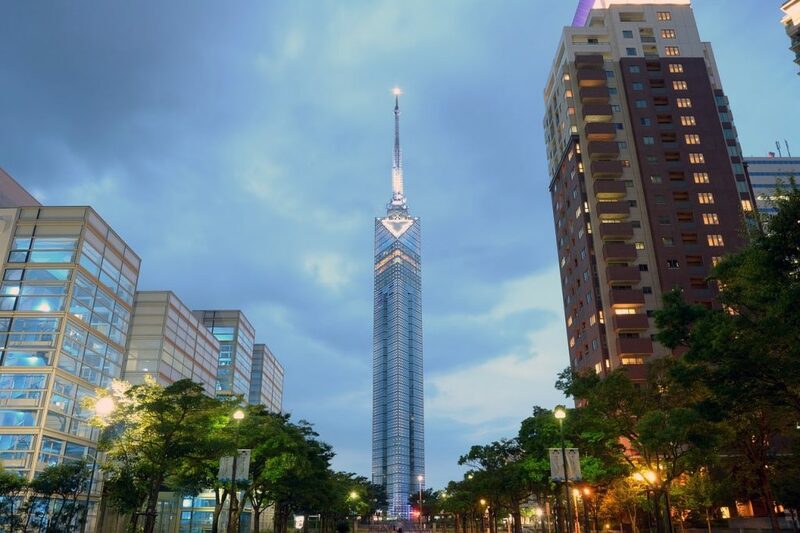 As of February 1st, 2019, Fukuoka Tower reopened after some renovations made to the lobby and observation decks, giving the tower a new and fresh look. The tower was first opened in 1989 and has since become a popular spot for viewing the sunset by locals and tourists alike. Night visits are also very common, and is common to see people here on dates as they gaze at the lights of the city. Despite the tower being 234m tall, the observation deck which you can visit only sits at 123m (404ft). However, the observation deck is high enough to give you an amazing view of the city of Fukuoka and the surrounding area. The observation deck offers a 360° view and is well worth stopping by, particularly on a clear and beautiful day. There are a couple restaurants and eateries inside the tower, so make sure that while you are there, grab a bit to eat at one of the highest restaurants in the city. The Address of the Fukuoka Tower is: 2 Chome-3-２６ Momochihama, Sawara Ward, Fukuoka, Fukuoka Prefecture 814-0001, Japan Please use his to navigate accordingly. The Fukuoka Toei Hotel is a conviently located hotel, just a short walk from the main train station – making it a great base-camp for those hoping to explore around the city. The Residental Suits Fukuoka is a high quality hotel, nearby the Fukuoka Tower, and within walking distance from the closest subway station, making it ideal for those planning on visiting the Fukuoka Tower. The Hotel Okura Fukuoka is a high-end luxury hotel and offers one of the best hotel experiences in the city. From great food, great views, and great rooms, the Hotel Okura Fukuoka has it all!